Fore and Aft companionway covers. Fully refurbished in 2016 this is a very well cared for and presented example. The interior is virtually all new and has been fitted out by a boatbuilder. She was also re painted to a very good standard. She offers heating, a good size heads and shower and a very well looked after BMC 1.5 diesel engine that is regularly serviced. She is stored in a "Wet Shed". Being a MK 3 she benefits from having the additional forward companionway which is ideal for keeping the main aft cabin private for the owners. 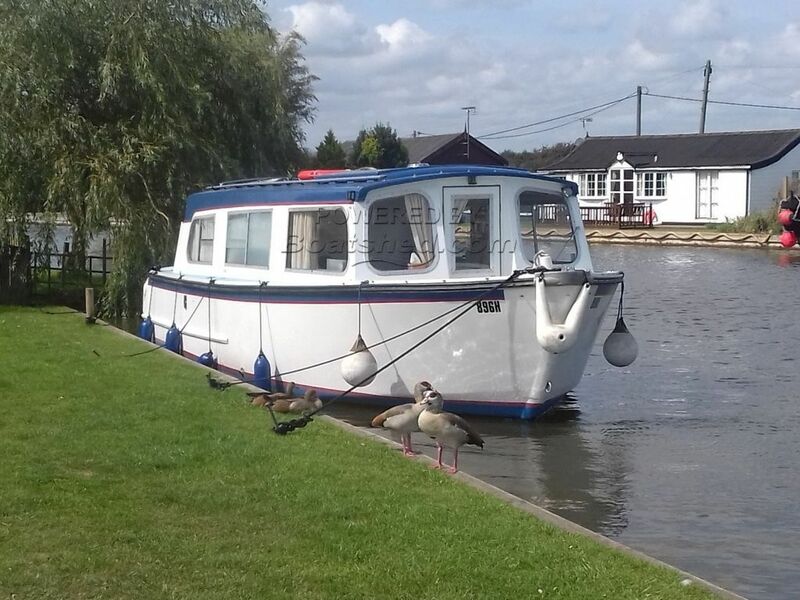 This Hampton Safari 25 Mk 111 has been personally photographed and viewed by Gary of Boatshed Norfolk. Click here for contact details.